Watchdogs warn that a few Chinese and Russian investors are hiding bad cash in vineyard sales. 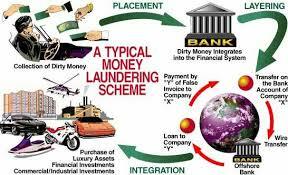 France’s anti-money laundering authority has gone public with suspicions that foreigners are using investments in French vineyards to clean dirty money. The 2012 annual report form the Traitement du renseignement et action contre les circuits financiers clandestins (Tracfin), part of the Finance Ministry, published earlier this month, calls for increased vigilance in selling vineyards to foreign investors, singling out Chinese, Russian and Ukrainian buyers. But the report cautions that most foreign investors are legitimate. “Most of the time there is no problem. But after an analysis—and we have access to customs, the police and we cooperate with other services around the world—if after an investigation, there is a problem, we give the case to the procureur of the republic [a prosecutor] in the region concerned,” a Tracfin spokesperson told Wine Spectator. Tracfin would not reveal how many cases have been passed to prosecutors, but confirmed that money laundering through the wine trade was a definite problem. “Wine is a very attractive sector,” said the spokesperson.